Finahub Official Blog: How Electronic signatures are useful in logistics industry? How Electronic signatures are useful in logistics industry? The logistics industry serves in acquiring, producing, and distributing products/goods to the desired target and in right quantities. In a business sense, the logistics process entails not only the transportation and delivery of products, but also the storage, inventory, handling, and packaging of these products. The transportation processes should be cost-effective, efficient and most importantly, convenient for their customers. Technology has been a major contributing factor to achieve this much-needed ability and efficiency in the logistics sector. Efficiency in the online contract signing. Digital signatures minimize the troubles linked to paper contracting. Basically, they reduce contract completion time and allow logistics operators to offer clients better service. The intricate, traditional, labor-intensive way of signing business documents can cost an organization millions of dollars of lost revenue. Usually, in organizations, wet-ink based agreements slow down important contractual processes, leading to loss of opportunities. To shorten the process of closing deals, a lot of organizations in the logistics business are transferring their contract work to the web and mobile via the adoption of e-signatures. Are e-signatures safe for signing logistics-related documents? The first thing logistic businesses wish to know before adopting e signatures is the risk involved in it. Lack of knowledge in matters electronic signatures can certainly make some managers apprehensive. However, what every logistic professional should understand is, signing documents online is safe and secure. While at the same time, remaining confident that such documents are as legally binding just as those executed by wet-ink signatures. 1. Reduced costs – When logistics businesses prefer paperless processes, the investment on paper for printing, courier, shipping, postal and data costs are reduced. 2. Greater efficiency – A fully digital signing process enables documents to be created, sent and signed online, speeding up workflows and reducing turnaround times. 3. Accurate processing – Adopting eSign technology ensures there are no hold-ups arising as a result of misplaced documents and duplication of paperwork. 4. Greater customer acquisition – Electronic signatures can be executed on any device, anytime, anywhere, allowing your employees to close deals faster and minimize the risk of cancellation of agreements from potential clients. 5. Reduce legal risk and ensure compliance – The hassle of tracking paper-based logistics documents can results in compliance issues, especially when the audit season approaches. Once a contract has been found in some way to have been tampered with, it could result in regulatory violations and fines. E-sign solutions keep track of who signed a contract and at what time. These signed documents are automatically stored in the systems so they can be easily retrieved for future use. 6. Increased customer satisfaction – If you want your logistics business to thrive, ensure your clients are always contented with your services. More so, using eSign technology to sign documents reassures customers that their personal information is safe and secure. 7. Environmental friendly – Reducing paper use saves the environment and advances your logistics business credentials as an eco-friendly company. Today’s customers are knowledgeable, tech-savvy and expect top-notch services from the organizations they do business with. Customers want a guarantee that they will get a high level of customer care throughout the period of conducting businesses and their personal information will be secure from the onset. There are plenty of ways for logistics businesses and shippers can meet these customer demands. Actually, by leveraging technology, businesses can meet a majority of those demands. 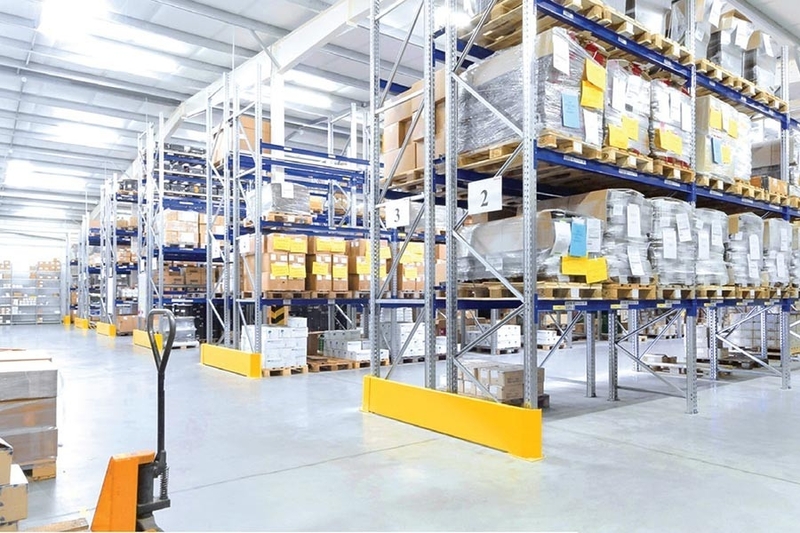 For instance, it is clearly evident that e sign technology can practically streamline all the contracting work, known to tire out logistics operators.